October 8-10, 2019 | Wisconsin State Fair Park | West Allis, WI. 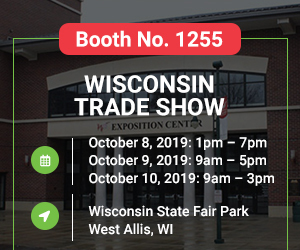 The Wisconsin Manufacturing & Technology Show (WIMTS) is one of the leading machine tool tradeshows in the Midwest. The show attracts well-known brand players providing products and services to manufacturers. 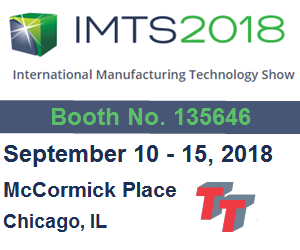 Conducted biennially, the show is normally held in the off years of the IMTS show. 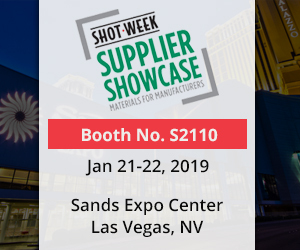 In 2019, the show is expected to feature 200+ exhibitors and attract 4600+ attendees. The attendees will get an opportunity to see manufacturing equipment, tools, and technologies in action. April 2-4, 2019 | Huntington Convention Center of Cleveland | Cleveland, OH. April 17-20, 2018 | Poliforum LEÓN GUANAJUATO | León, Gto. 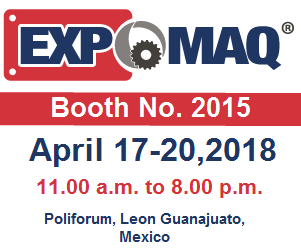 EXPOMAQ is a tradeshow dedicated to Machine Tools and Manufacturing Technologies. Being held in Mexico, this event draws more than 10,000 professionals from across the globe. Every year, EXPOMAQ attracts key decision makers in the industries such as Robotics, Aeronautics & Aerospace, Medical Devices, Automotive/Auto Parts, etc. 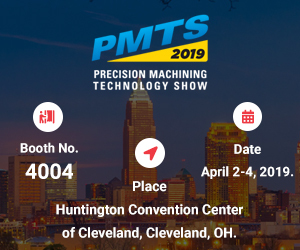 International Manufacturing Technology Show is one of the leading manufacturing shows in the North America. In 2016, the show attracted 115,612 attendees, and 2,407 exhibitors from across the world. This event will be held in Chicago, and is expected to attract buyers and attendees from over 117 countries. This year, the conference will focus on the topics of importance, such as: Process Innovations, Plant Operations, Alternative Manufacturing, Automation, and Quality and Industry 4.0/IIoT.